Two weekends in a row I was in the downtown Barcelona. Here are ten pictures of the most touristy part of the city. 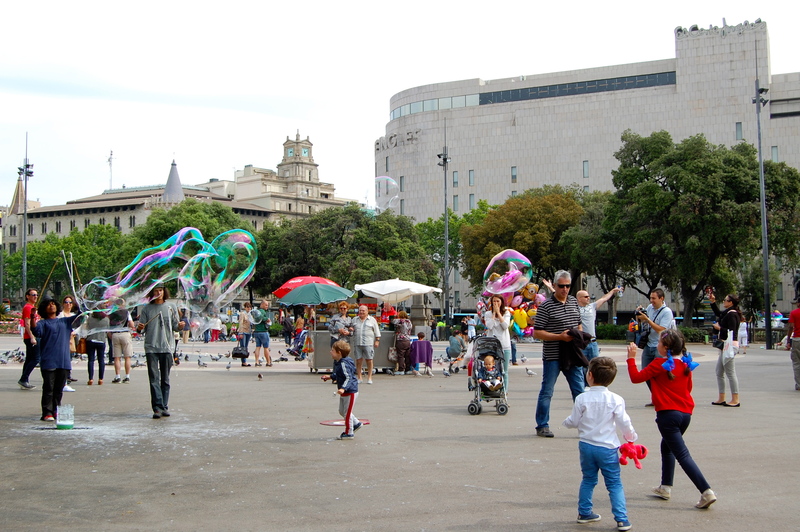 Plaza Catalunya with its balloons, pigeons, and street artists and entertainers. 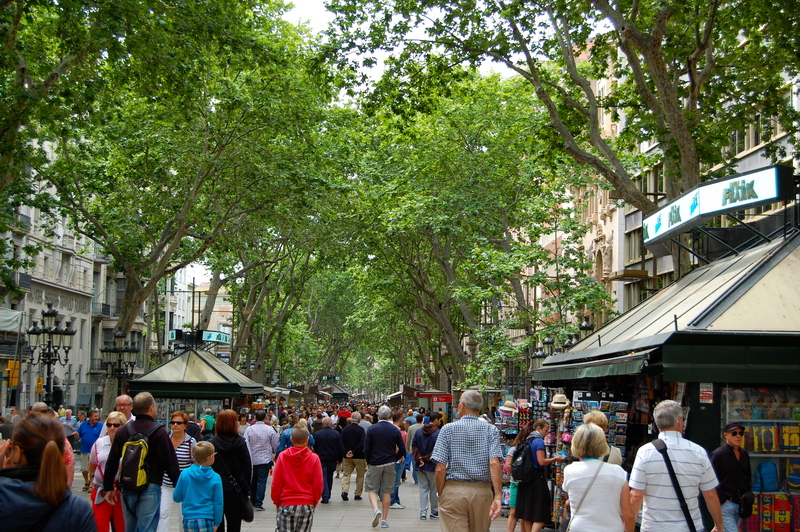 La Rambla: The most touristy street in Barcelona. 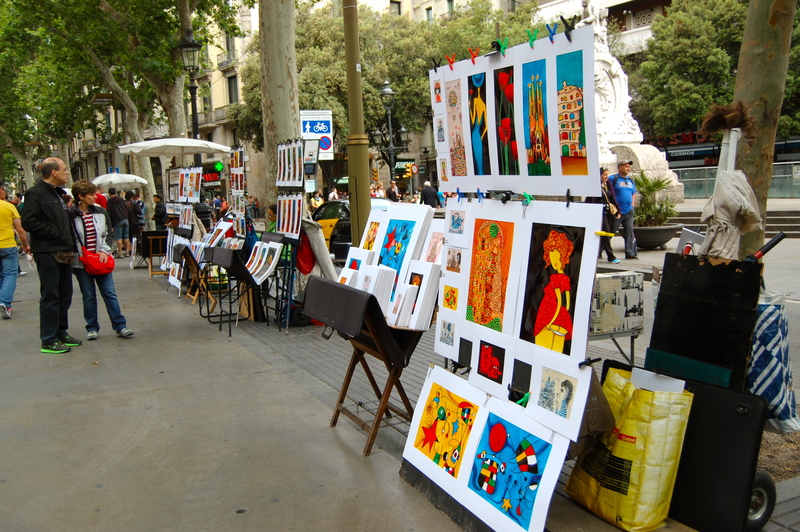 La Rambla where it gets closer to the Columbus statue. The Columbus statue. 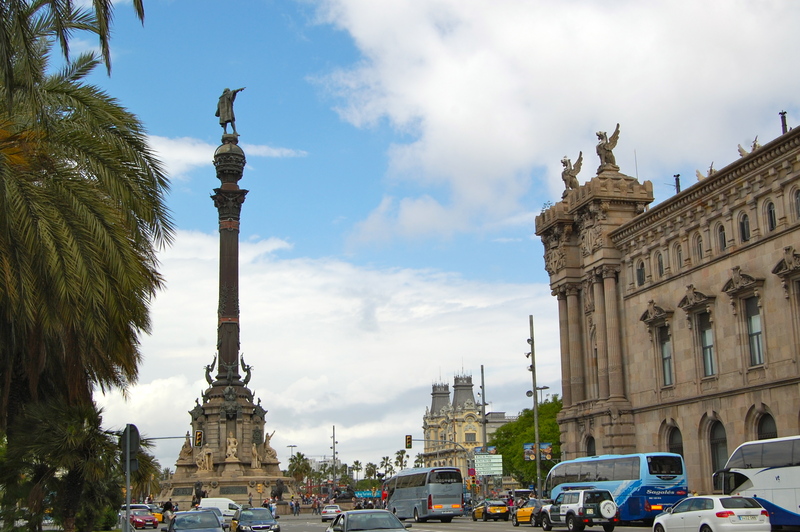 It is said that Columbus points his finger in the direction of the Americas. I think every tourist that comes to this city has a picture next to it. 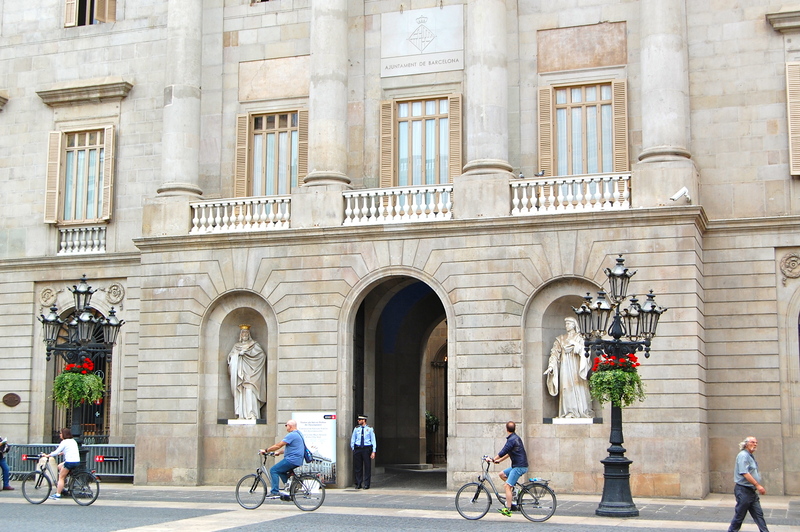 The City Hall on Plaza de Sant Jaume. 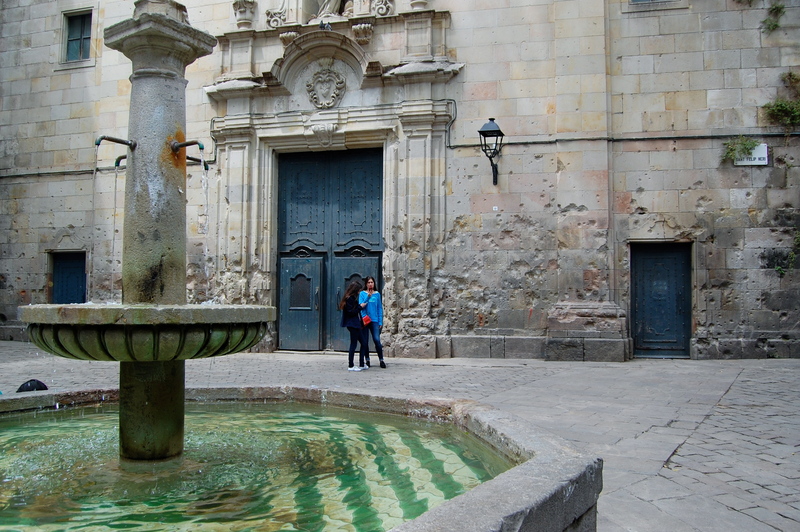 A church and a fountain on a secluded plaza in the Gothic Quarter. 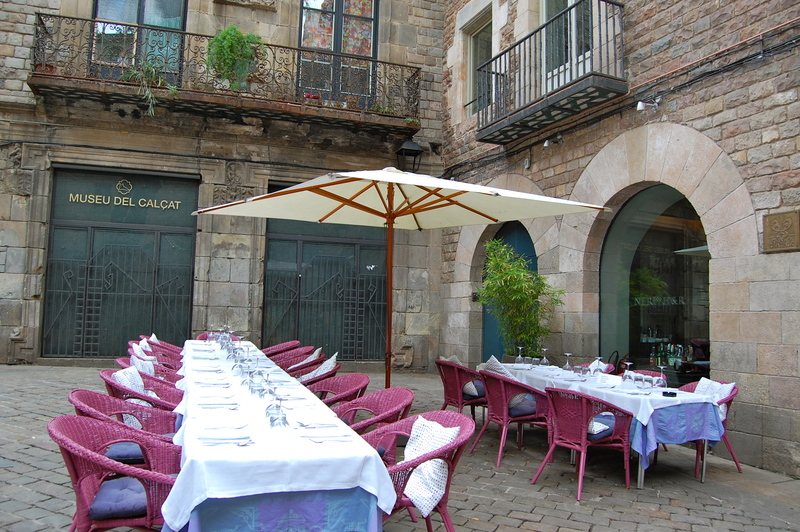 A restaurant and a shoe museum on the same plaza in the Gothic Quarter. 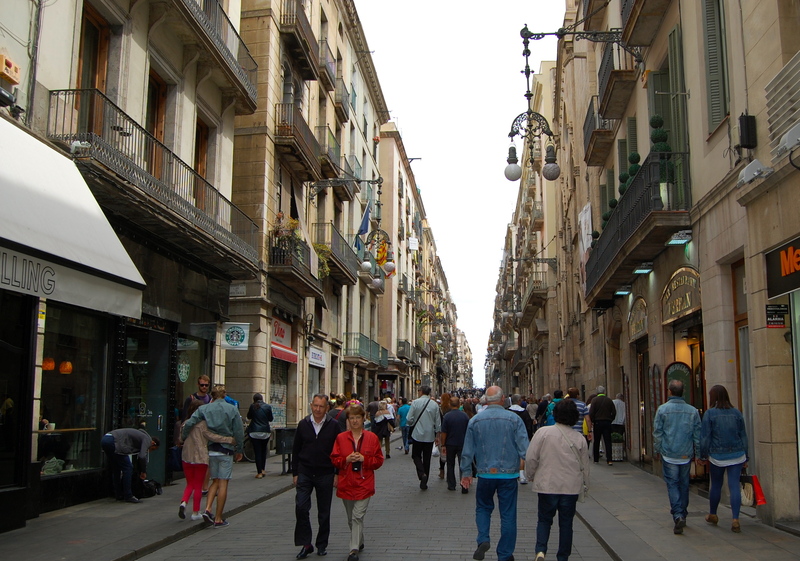 Carrer de Ferran that connects La Rambla and Plaza de Sant Jaume (where the City Hall is). 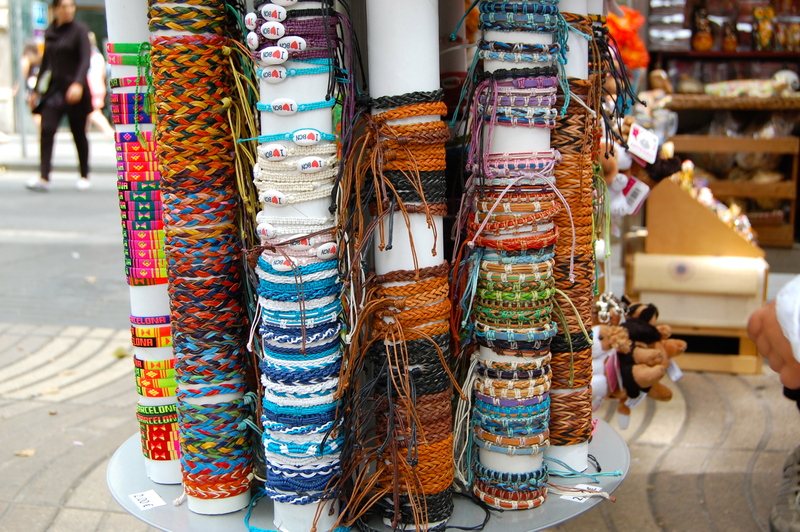 And here are the bracelets that are sold everywhere in Barcelona. 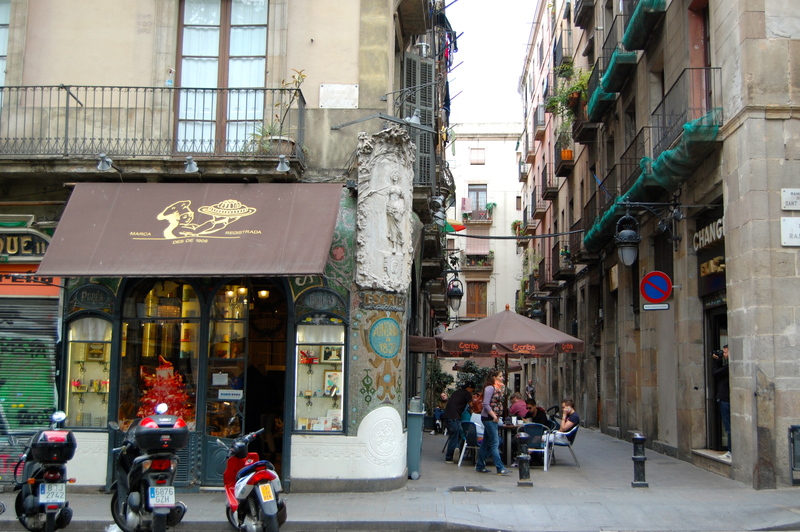 This entry was posted in Barcelona, Spain, Travel and tagged Barcelona, Gothic Quarter, La Rambla, Touristy Barcelona by Masha Kubyshina. Bookmark the permalink.